Lunch: Baked Tandoori Chicken – again no microwave so i couldnt eat the sides (taro) they were too hard but the chicken was good. 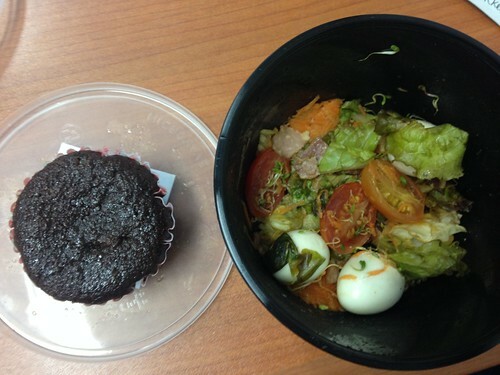 PM snack: brownie muffin. Loved this! Dinner: fish filet with salsa verde. Scraped off the salsa because it was too gooey for my taste. Everything else, yummy. 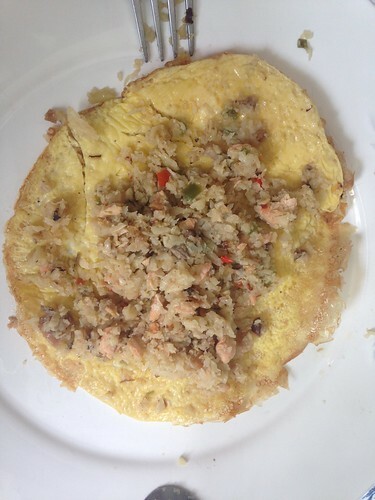 Breakfast: omelette with cauli rice and salmon – this was okay. 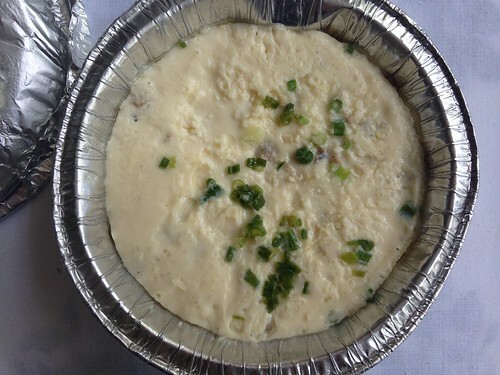 I love the cauli rice so thats what i ate. 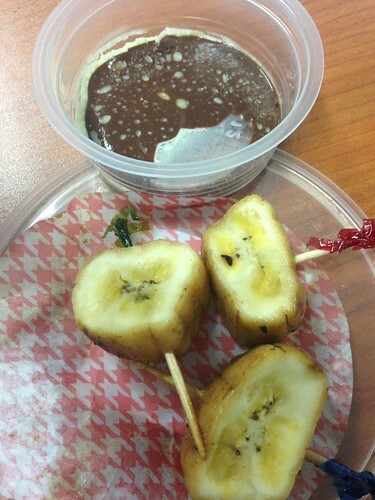 Am snack: plantains with pure dark chocolate. Sorry for the unattractive photo. The chocolate chilled in the fridge which ended up being good cuz i scraped away the oil and put the chocolate very modestly on the plantains. 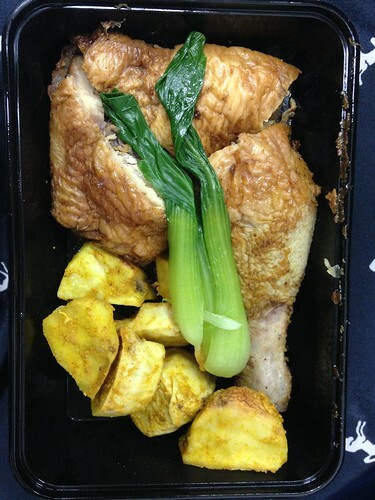 Lunch: grilled chicken – i just ate the chicken and ignored the sides. I wasnt too hungry. Pm snack: coconut cinnamon donut holes. If you dont mind the soft chewey (not in a bread way) consistency then you will like this. I did. 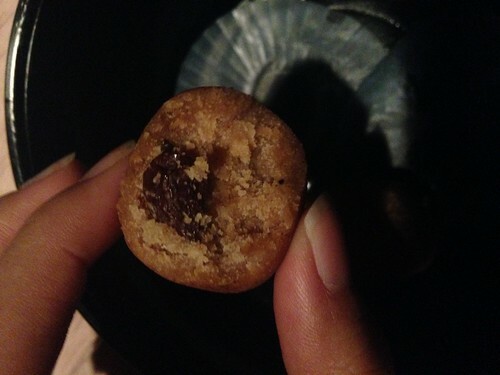 the texture may be likened to a grainy yema ball. My brother ate this. 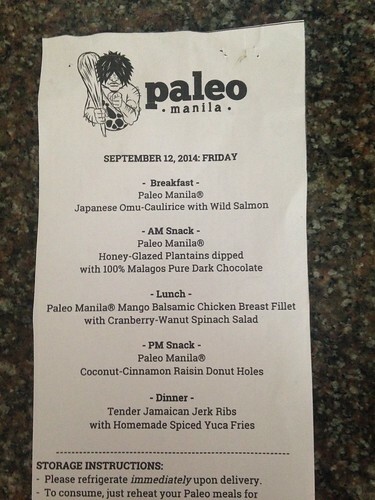 I didn’t get to have it for dinner because I had an event and ate there instead. -some of the food tastes and feels (texture-wise$ similar which leads me to believe they are following a certain menu wherein the same ingredients are being used. I cant identify yet what flavors exactly but maybe after 1 more week, i can. -okay i didn’t cheat on purpose. for the most part i stuck to the menu with the exception of wednesday lunch and friday evening. I attended meetings and events which provided meals. I was embarrassed to whip out my paleo meal. 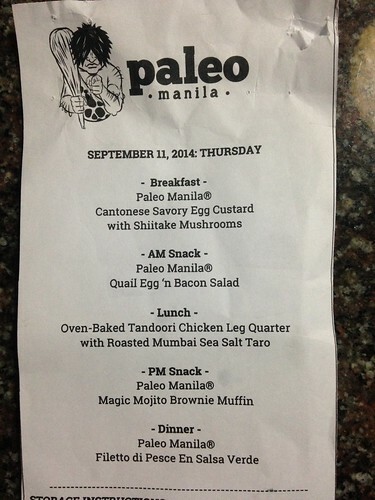 So i partook in the food spread but i was careful to select food which was more paleo friendly. 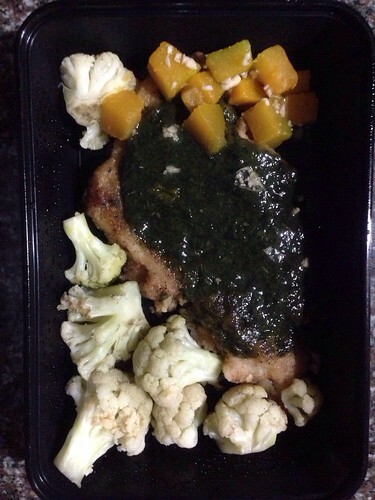 The result, I have some extra paleo meals which i carried over to the weekend. 1) less bloated tummy, i fit better into my pants. Would i do it again? Yes!!! In fact, on wednesday, i already signed up for another week. Their slots were already full but they gladly accommodated me which I’m super grateful for. 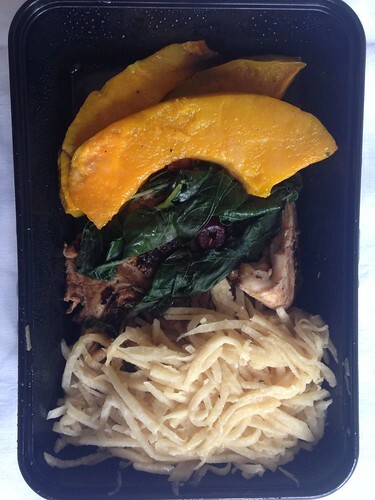 Looking forward to week 2 of Paleo!